The content written is strictly for educational purpose and not for misuse. 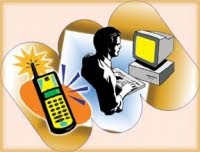 SMS Forging is the trick by which you can steal the identity of the sender. The working of SMS is explained as under. First of all the sender send the SMS via SMS gateway. The identity of the sender is attached to the SCCP packer of the SMS. then to the receiver’s handset. There are many ways by which we can send SMS to the SMS gateway. One of them is to use internet. the sender information prior delivering to the SMS gateway. any of the receiver as a spoofed SMS. Some of the Website on the net also provide this facility. was only for educational purpose. Ya sure why not...I am here to help you...you can give me your mail id...and become a member of this blog...anything you wanna ask then u are welcomed...keep visiting.. I will post soon regarding rapidshare premium account password.